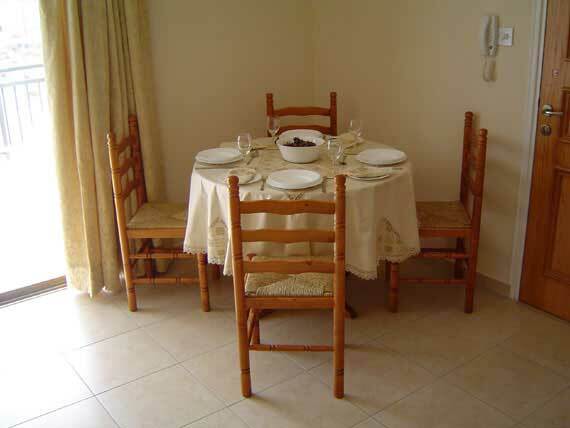 The apartment is in a small complex in the quiet village of Kissonerga, near Paphos. It has a supermarket, chemist, bookshop and a variety of restaurants all within walking distance. To get the best from a holiday on the island, a car is desirable. 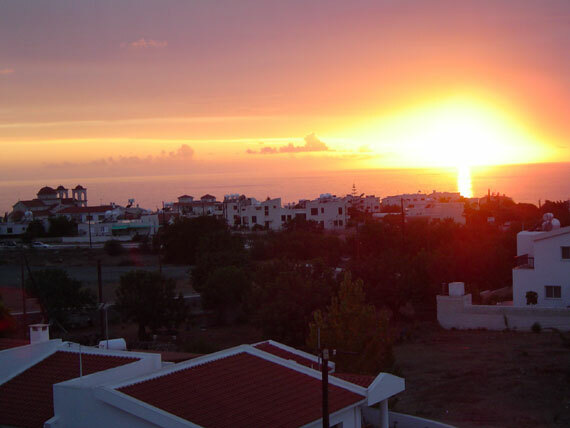 The apartment is only a 10 minute drive to the center of Paphos and 10 minutes to Coral Bay where you will find a blue flag beach. It features 2 Bedrooms with twin beds both with air conditioning, These is a lovely fitted kitchen containing Fridge-freezer, Microwave, Electric cooker, toaster etc. 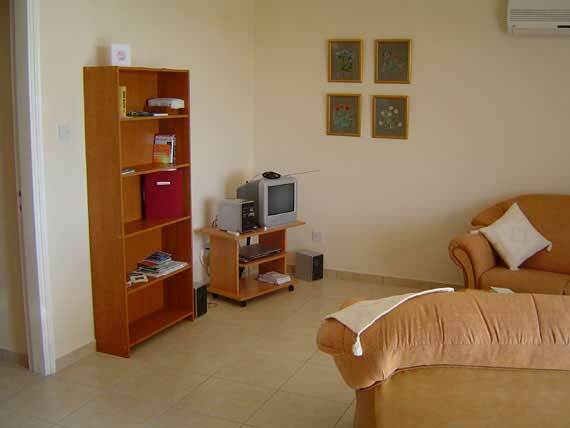 In the lounge there is air conditioning, heating, ceiling fans, television, dvd player and mini hi-fi for your use. Linen & towels are supplied. 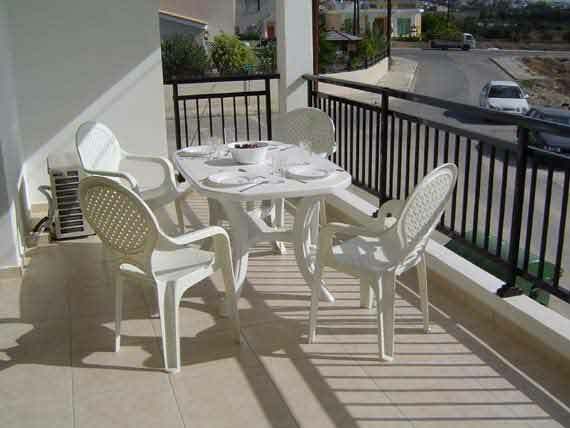 The apartment has two furnished balconies overlooking the pool.